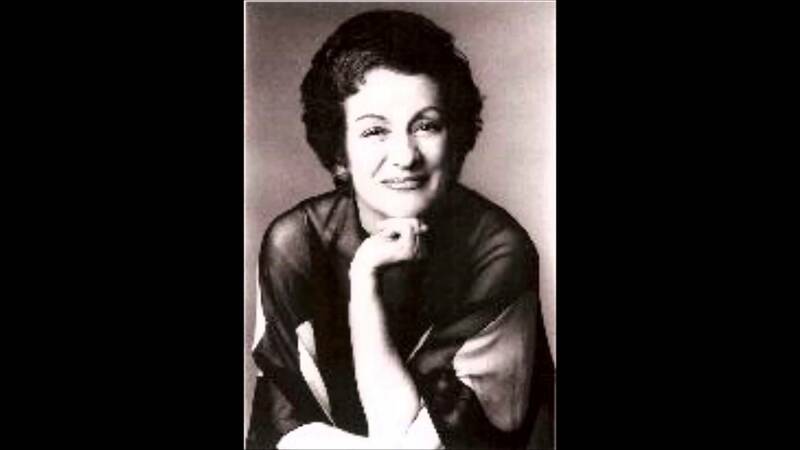 The death has been announced of Elisabeth Carron, who sang Mimi at the Met and Madam Butterfly at City Opera, among many other leading roles. She sang opposite Callas, Vicker, Nilsson and other legends of the mid-century. The youngest of four children born to Sicilian immigrant parents, Elisabetta Caradonna grew up during the Great Depression, when most forms of entertainment were community-based and necessarily inexpensive. One of the most popular was the marathon dance contest, which would include ad-hoc intermission acts that popped up when the dance bands took their breaks; these entertainers were paid only with whatever money the audience cared to toss on to the stage. With her older brother Rosario as her impresario, Elisabeth began to sing at these events at the age of nine. She was a runaway hit, and soon she was doing well enough to be hired to sing with a real orchestra during intermissions at a Newark movie house, where she and her brother could make ten dollars a week. Carron’s alcoholic, spousal-abused Birdie is Blitzstein’s Regina, recorded by Columbia from the New York City Opera production, is one of the classic and deeply moving portrayals from the Golden Age of vinyl era opera recording. No one should ever record wobbling Ed Rosen for any purpose. Horrifying! Having fun with Friends, RIP Ed, Dec 21 and Elisabeth, Dec1. When you’re as pretty as Ed Rosen, you can get away with ‘anything’. Carron was wonderful.